Learn to windsurf, sail a dinghy or how to handle a kayak. Or of you are an expert already, just rent the kit out by the hour, half day or day. The company below also offer kayak guides to take you on trips around the Cape. Escola de Vela, Windsurf, Veles i Caiacs. 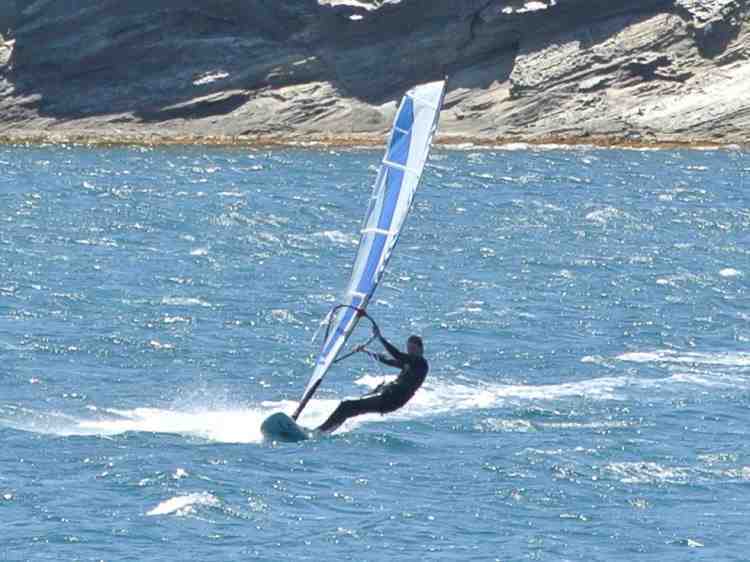 The advanced windsurfers all come out if the Tramuntana wind blows up. They normally launch off Platja Ros on the north side of the bay and scream up and down between the Rocamar on the south side and the beach on the other side- great to watch from either side.